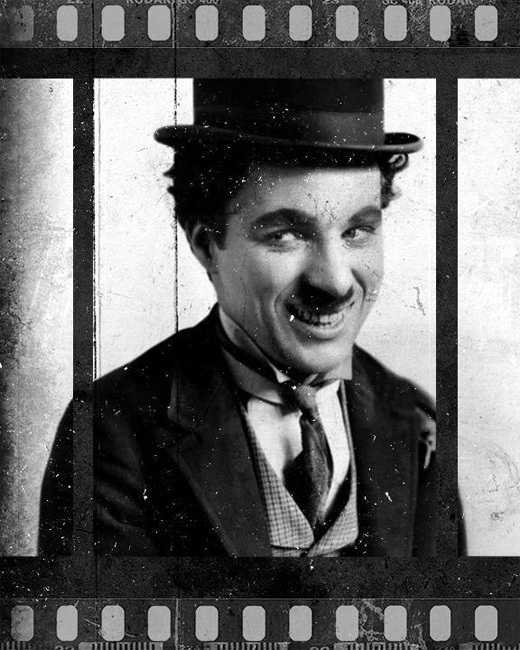 Learn how to create an old film effect in Photoshop using textures, adjustments and filters. 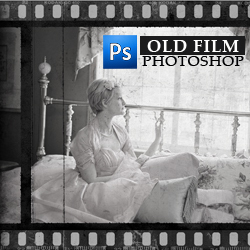 You can easily create an old vintage picture in Photoshop with a realistic filmstrip border for photos. The film strip roll effect is easy to create and you can use this look to age your photos in Photoshop quite easily. 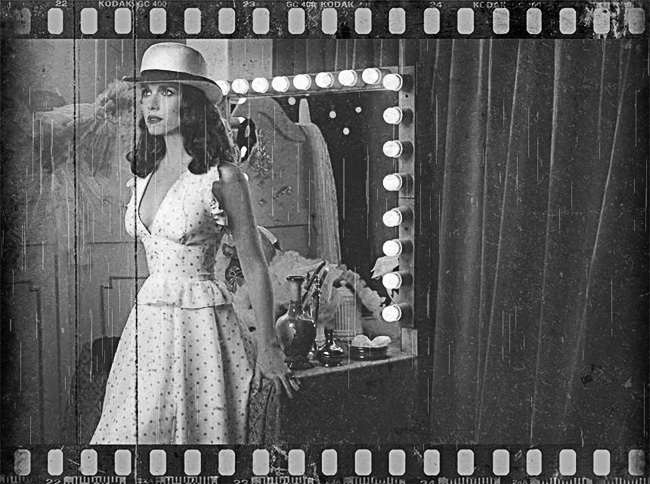 In this tutorial you will learn how to create a realistic vintage old film effect in Photoshop using a film texture overlay with filmstrip perforated frame border. Create a new PSD file, size 860x640 px and fill the first layer with color black. Set the opacity of this layer to 30% . Add this Grunge Paper texture in a new layer and add a Hue/Saturation adjustment and a Levels adjustment. Create a new layer called Mask and fill it with color white. In a new layer add this Old Film texture and set the blend mode to Multiply. Go to the Mask layer and with the Rectangular Marquee Tool make three selections like shown in the preview. Keep the Shift Key pressed to make multiple selections. Press the Add Layer Mask button. In a new layer add the Vintage Retro Woman stock image. Right click and choose Create Clipping Mask. Create a new layer and call it Border. Use the Rectangular Marquee Tool to make two selections like shown in the preview. Keep the Shift Key pressed to make multiple selections. Fill the selections with color #ababab . Ad a Hue/Saturation adjustment layer to desaturate all the images. Go to the Old Film layer and add a Levels adjustment just for this layer. Right click and choose Create Clipping Mask. Create a new layer and add this Seamless Dust Noise Texture and set the blend mode to Screen. Add a Levels adjustment just for this layer. Right click and choose Create Clipping Mask. Add a Levels adjustment just for this layer. Right click and choose Create Clipping Mask. Pick the Eraser Tool and use one of these Grunge Brushes to delete some areas especially from the black filmstrip border. If you make the film look more vintage and distressed looking, you can add again this Seamless Dust Noise Texture in a new layer and set the blend mode to Darken. Press Control-I to invert the image. Go to Filter > Blur > Motion Blur and apply this filter to the new Dust Noise layer. Set the Angle and the Distance to create vertical lines like in the preview. Go to Filter > Sharpen > Smart Sharpen and apply this filter to the new Dust Noise layer. So here is the final result for the vintage old film effect made in Photoshop using a film texture overlay. 2 comment(s) for "Create an Old Film Effect with Filmstrip Border in Photoshop"